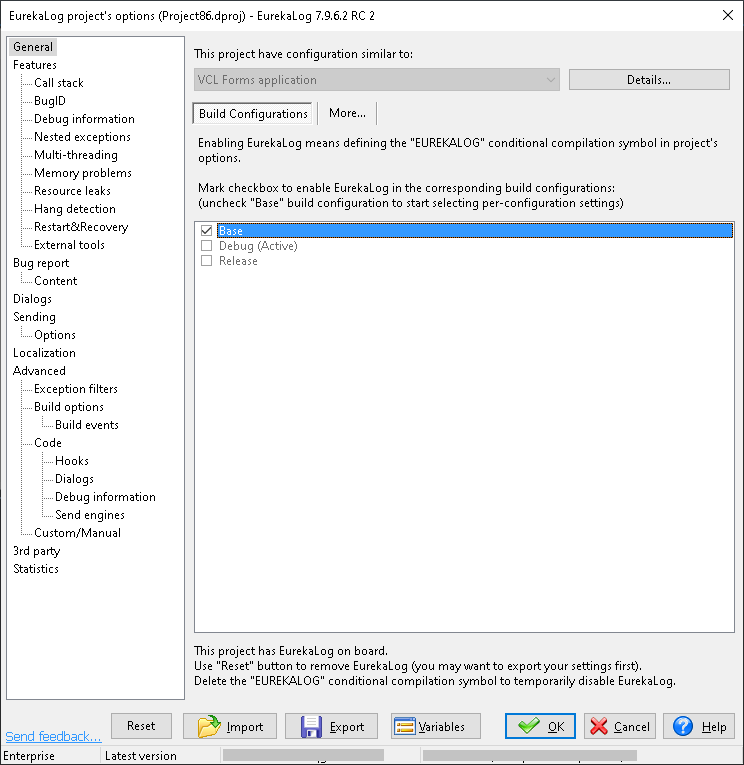 EurekaLog stores per-project configuration in options file for your project (it's .dproj/.cbproj for new Delphi/C++ Builder versions). Each time you build your project with EurekaLog - these options are inserted into final .exe file (or DLL). Then EurekaLog's code can use these options at run-time. Therefore, you can set options during design-time - and they will be accounted when application is run. 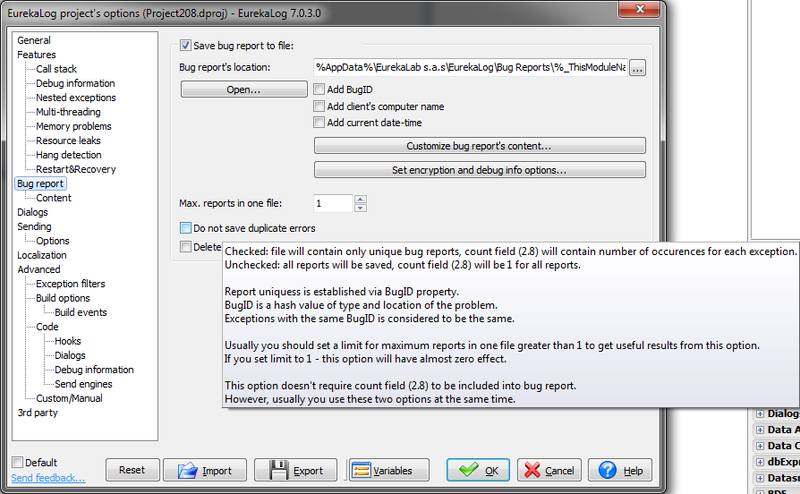 In other words, EurekaLog project options works exactly as standard project options dialog. (You can also invoke this command if you don't have opened project, but then you'll edit default options for each new project). You can see options categories on the left part (TreeView). Click on any category or sub-category to view and/or change options inside this category. With this dialog you may change EurekaLog behaviour - to save bug report to disk or not, and where to save it, and what will be inside bug report, and should it be sent to you (as developer), and many other things.